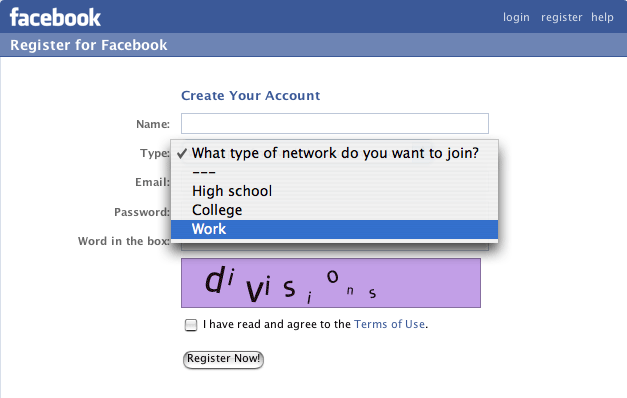 Popular social networking site Facebook is moving beyond schools and into the workplace. A new version of the site went live this morning allowing new registrations on corporate e-mail addresses. I was able to signup using my Microsoft address and completed my profile. My Microsoft social network on the site is currently filled with recent graduates who most likely had a profile before entering the full-time workforce but I expect more users of all ages jumping in soon to see what all the fuss is about.